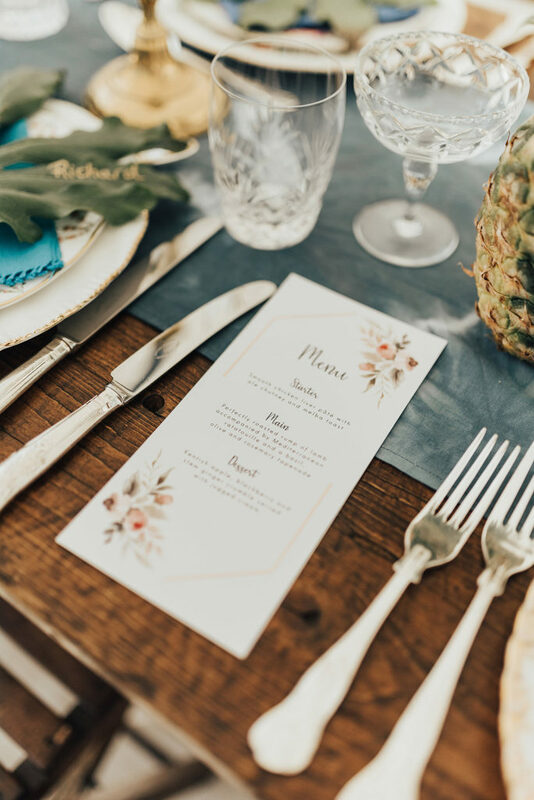 Images by Rebecca Carpenter Photography. 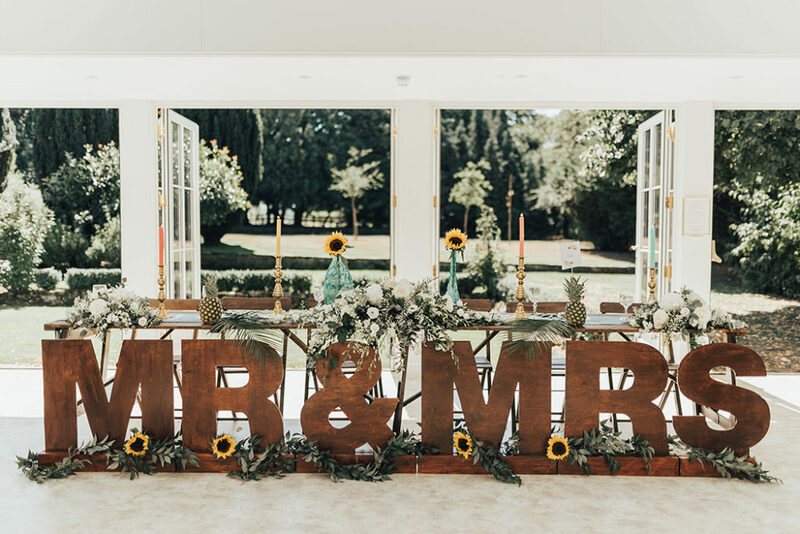 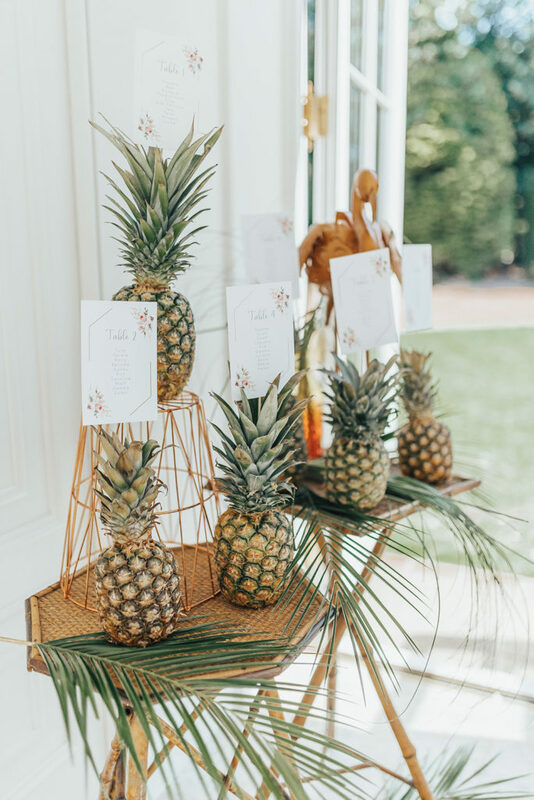 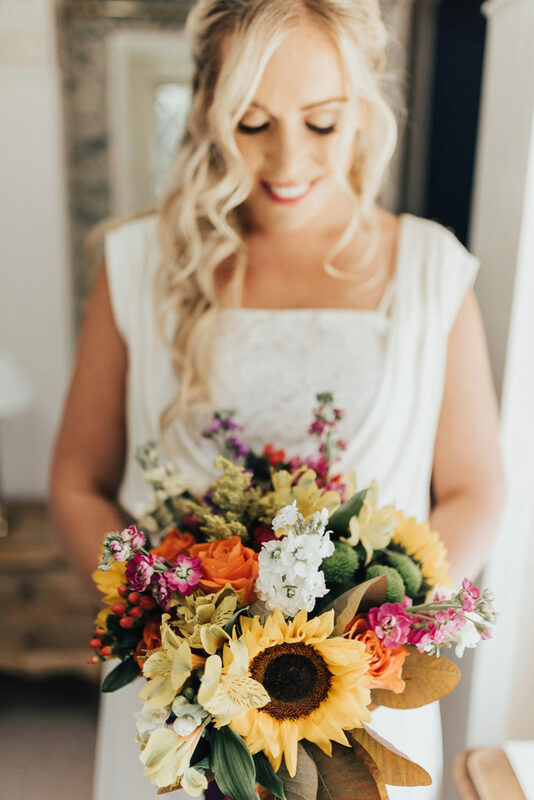 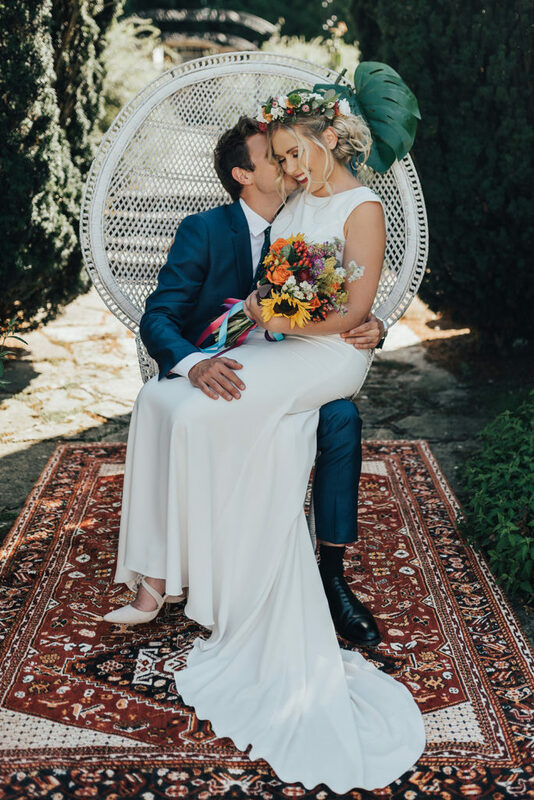 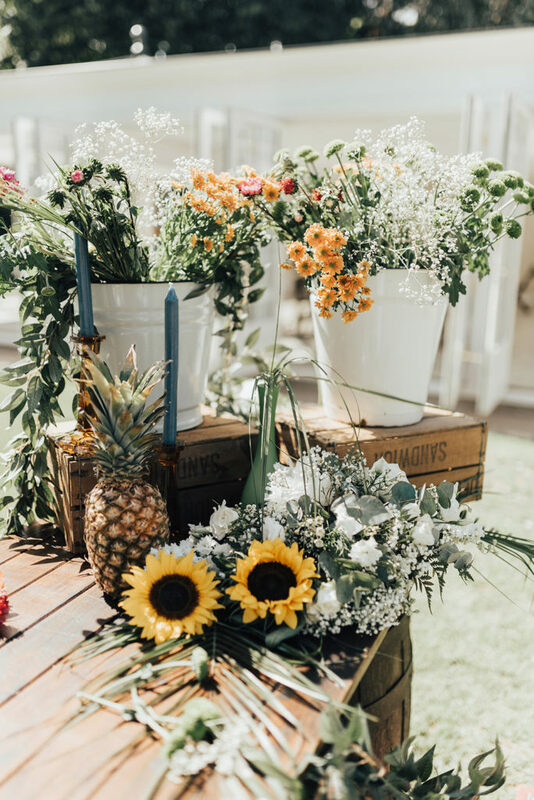 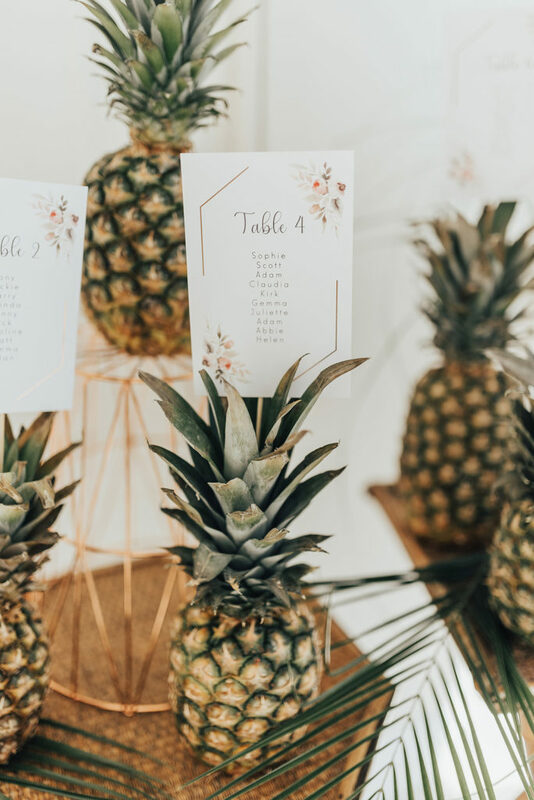 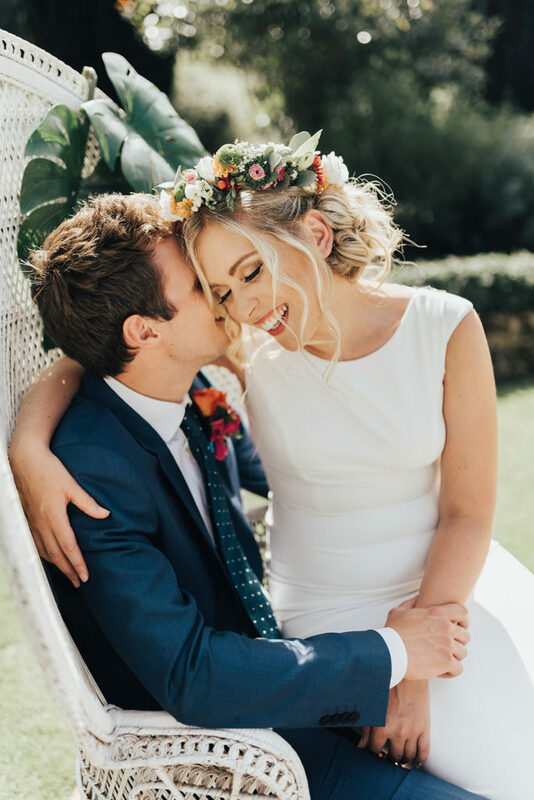 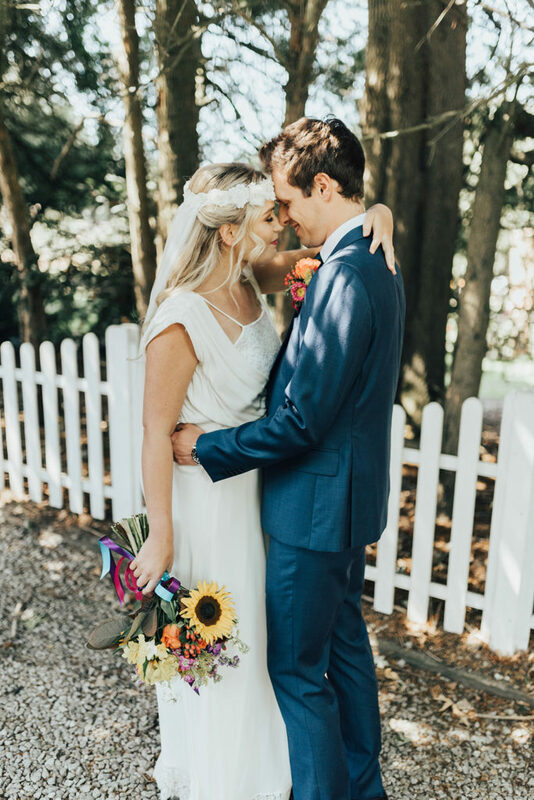 Summer heat waves, tropical foliage, pineapples and vivid yellow sunflowers were the inspirations behind this ‘Boho Beautiful’ styled shoot at Hayne House. 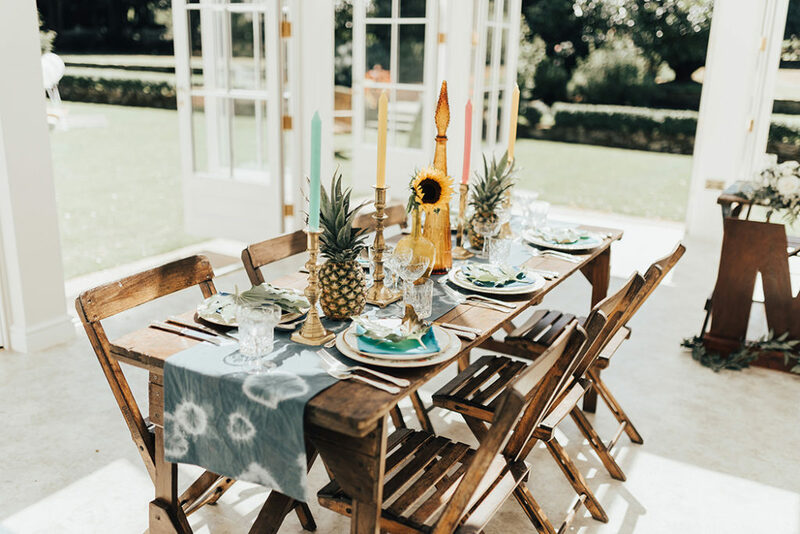 The bright pops of colour and all the smiles have me craving halcyon days and outdoor lounges. 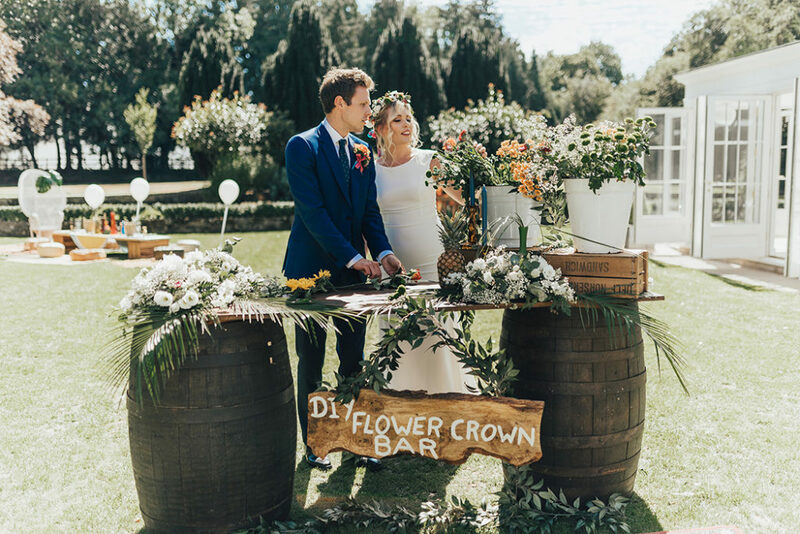 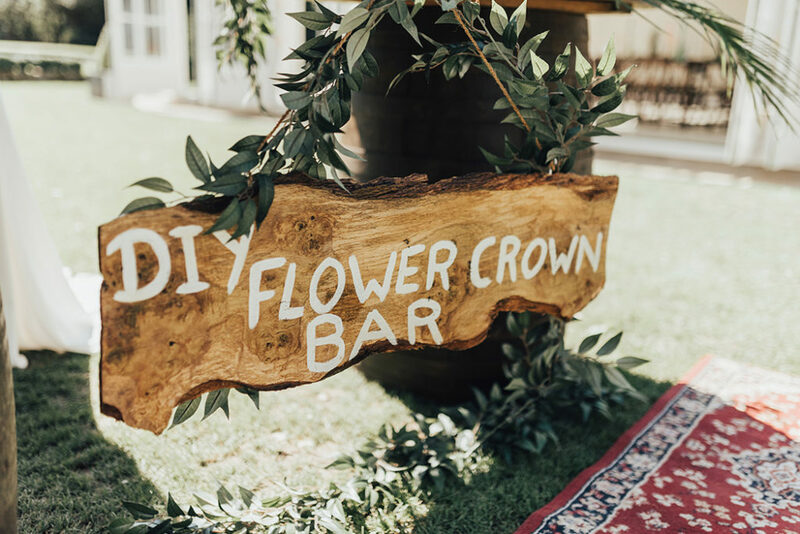 I also love the DIY flower crown bar! 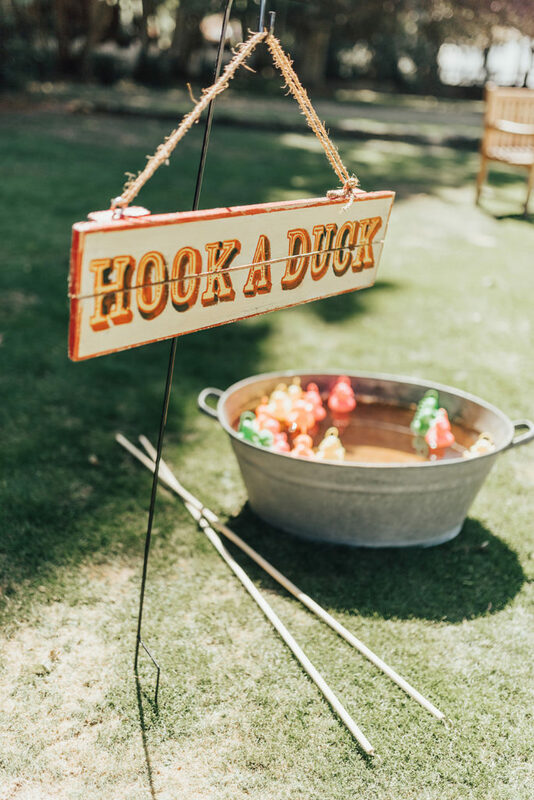 Awesome inspiration for your own wedding entertainment. 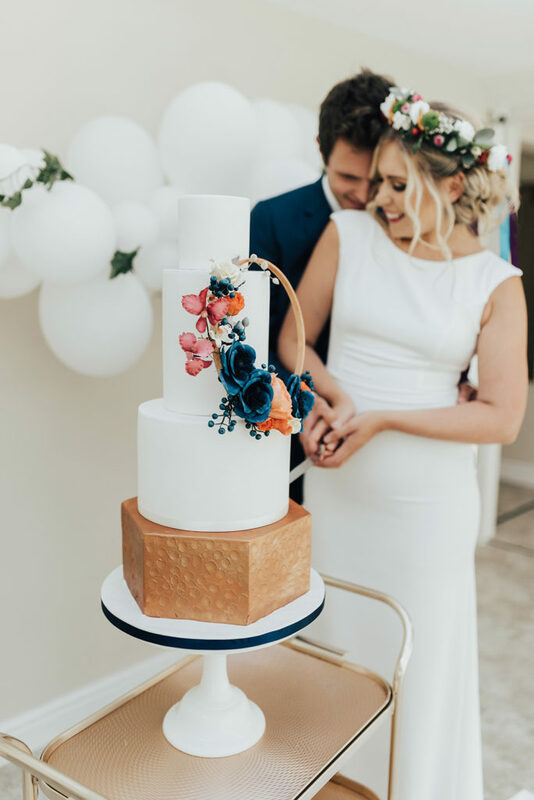 With a love of all things boho and the stunning colours that are so on trend, it was easy to curate our thoughts and ideas into reality. 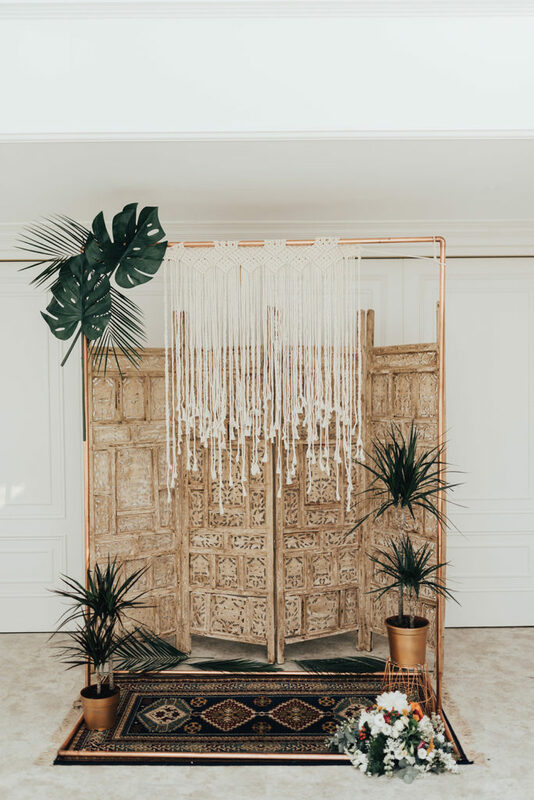 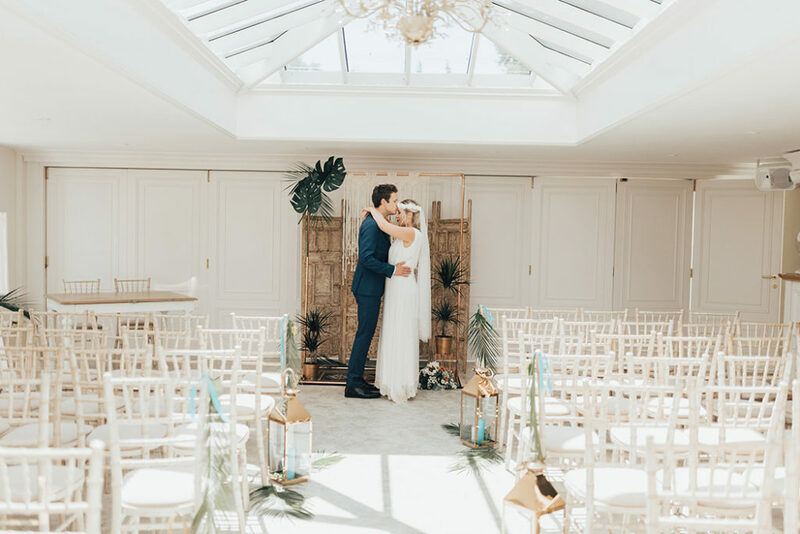 With the use of our copper frame and Macramé backdrop coupled with copper accents, green palms and a stunning location the scene for this boho shoot was set. 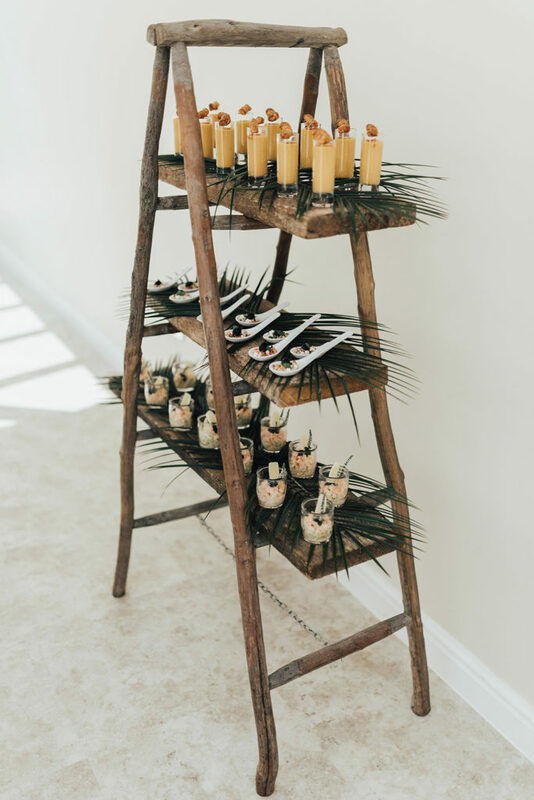 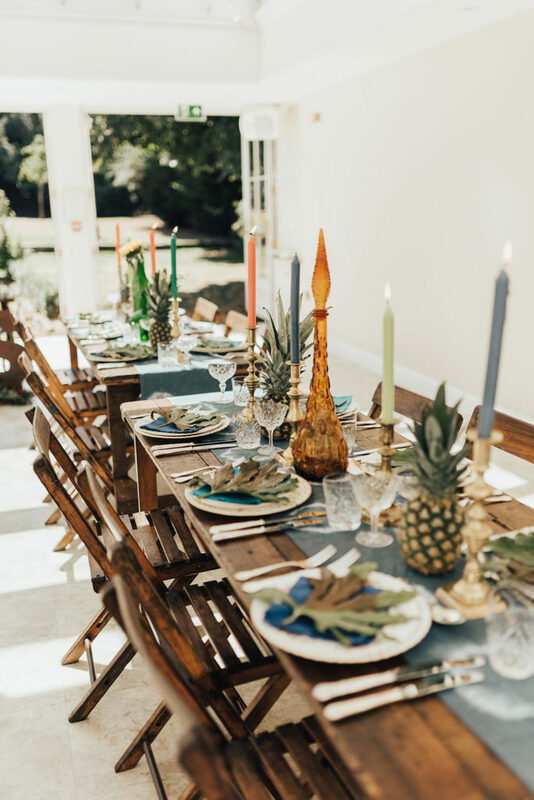 By incorporating our collection of original vintage Italian 1960s glassware, tie dyed table runners and our vintage brass candle sticks complimented with a mixture of brightly coloured candles we were able to add the pops of colour that are so essential to creating a boho vibe. 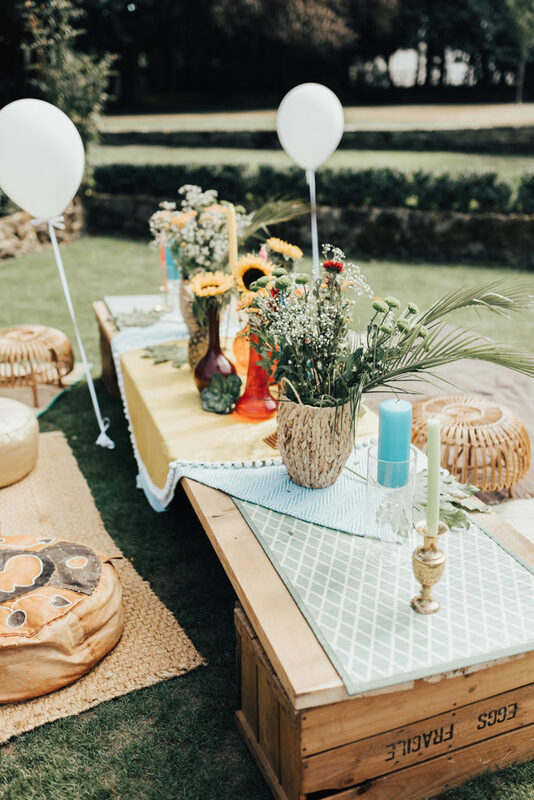 With guests in mind we wanted to showcase a relaxed, chill out seating area, so in keeping with the laid-back atmosphere essential to the theme. 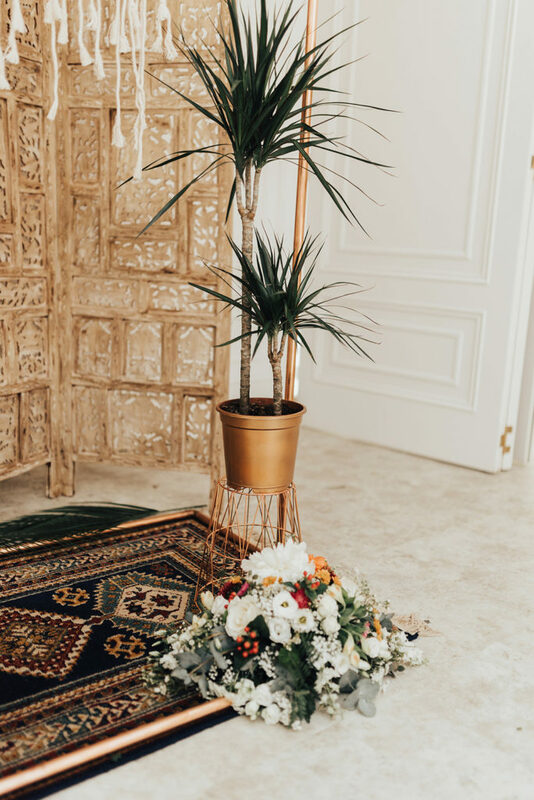 With the use of leather and bamboo pouffes, vintage rugs, bright cushions, vintage glassware and our stunning white Peacock chair, Locate to Create styled and created an inviting area for all to enjoy. 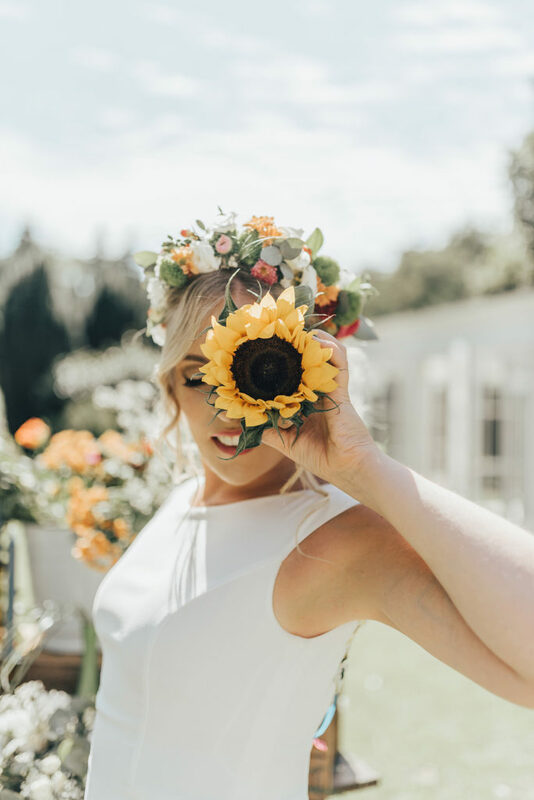 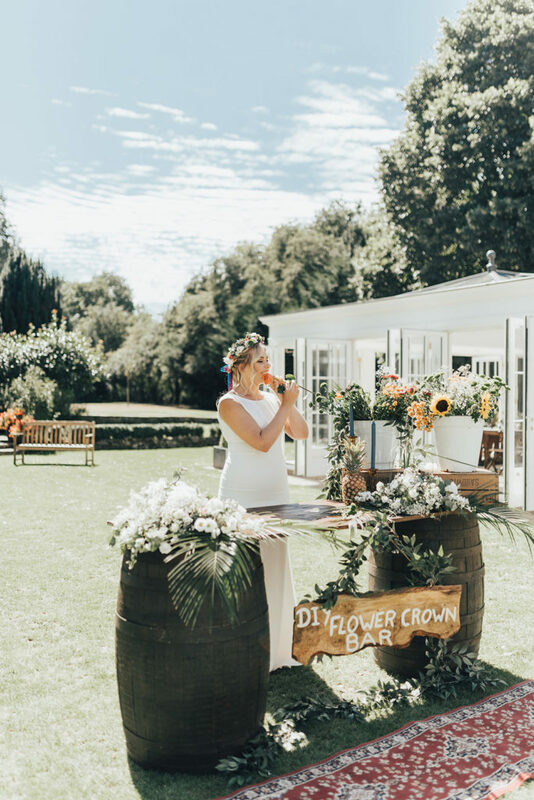 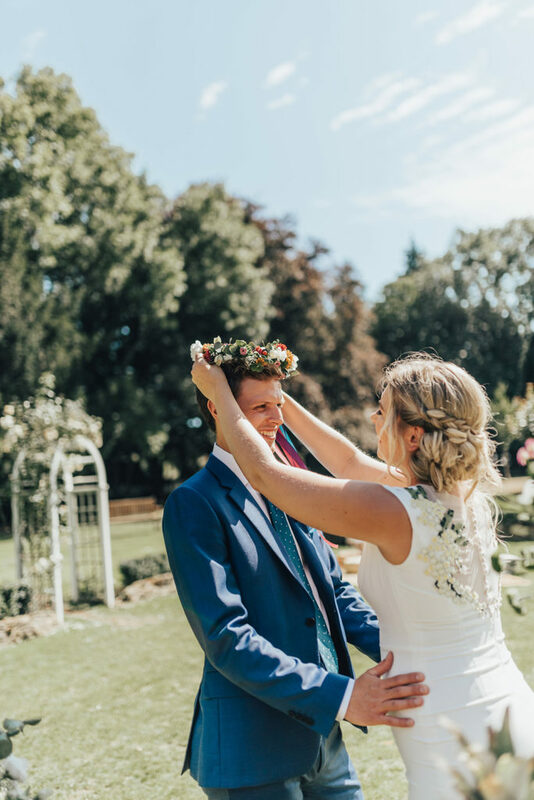 Taking inspiration from our brides’ stunning floral crown created by Sally Symonds we thought why not let guests create their own DIY Floral Crowns, great entertainment that’s sure to produce many photo opportunities and just imagine the injection of colour created by your guests. 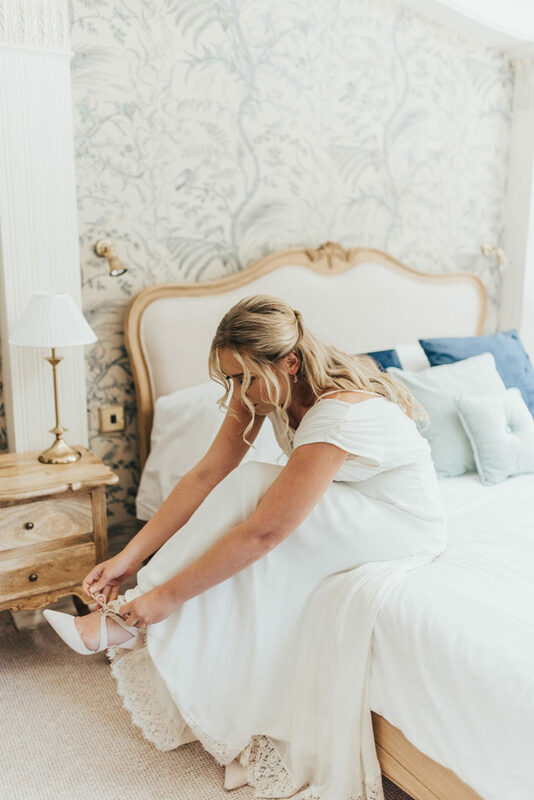 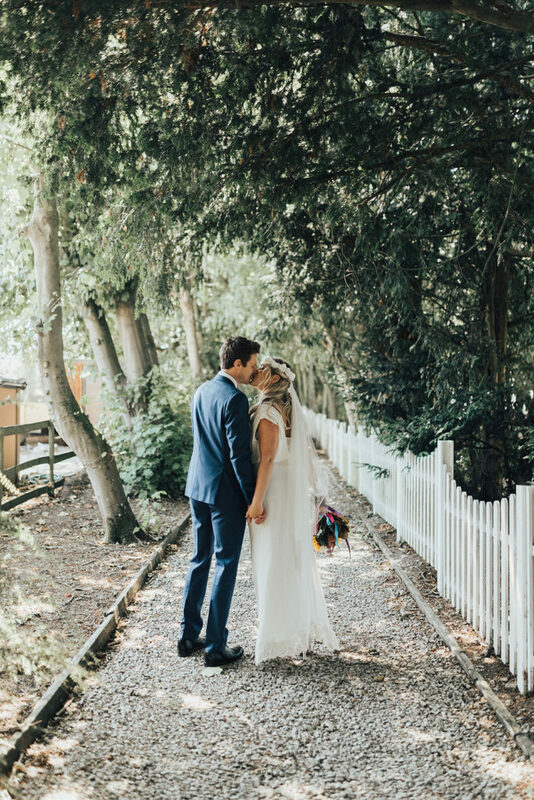 With her natural relaxed style Rebbecca Carpenter Photography was our ideal choice, perfectly capturing the essence of the shoot and creating stunning images. 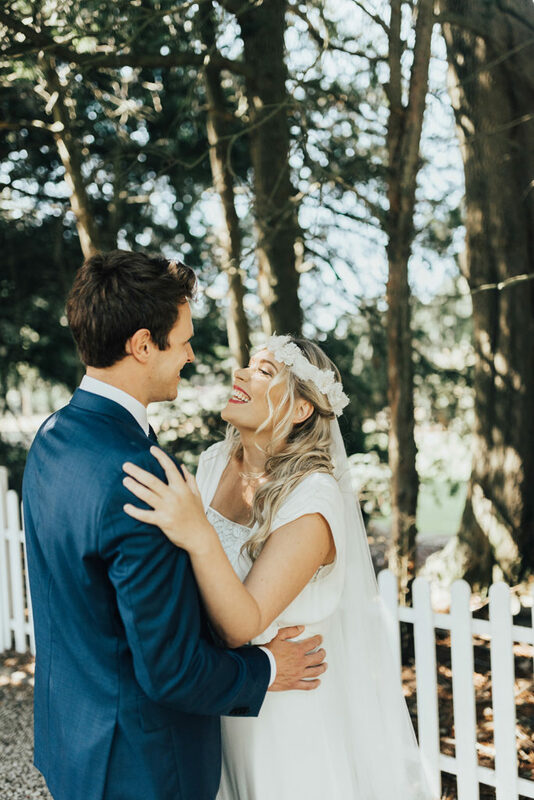 Videographer Rix Weddings put movement and music together seamlessly creating a stunning video memory of the day. 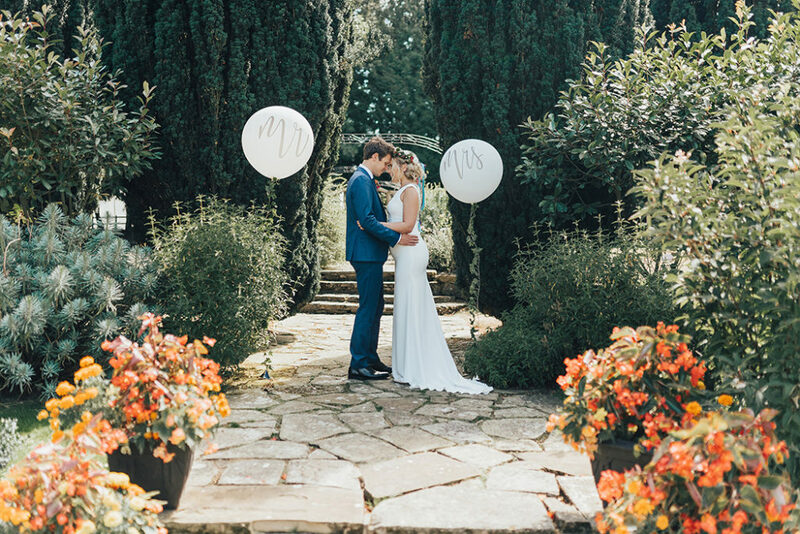 Hayne House was the perfect venue for the shoot as it is such a stunning location. 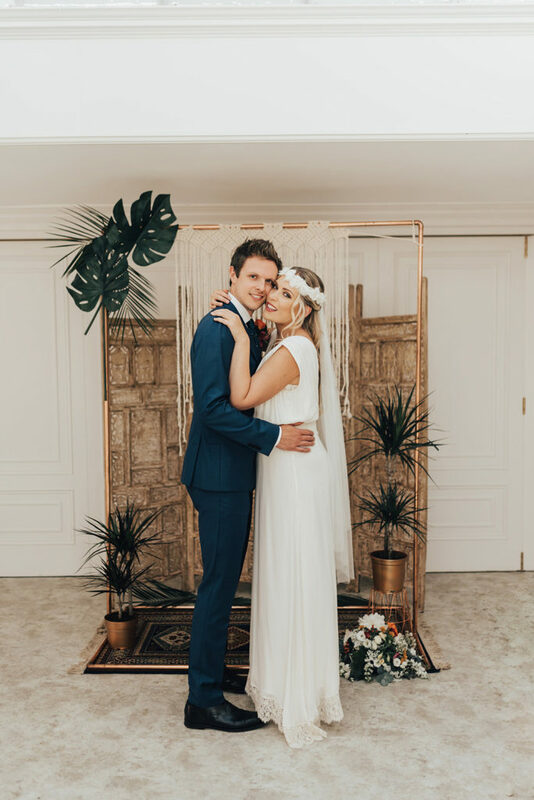 Hayne House is extremely light and bright and so it worked very well with our bright boho style. 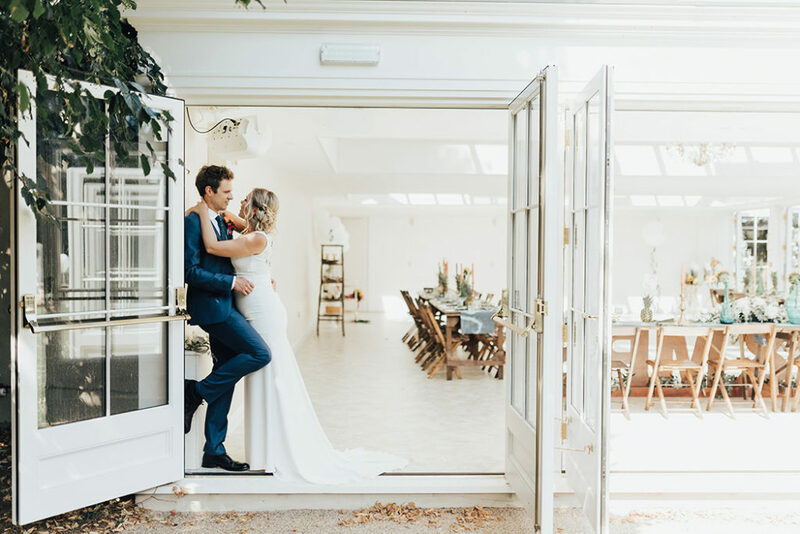 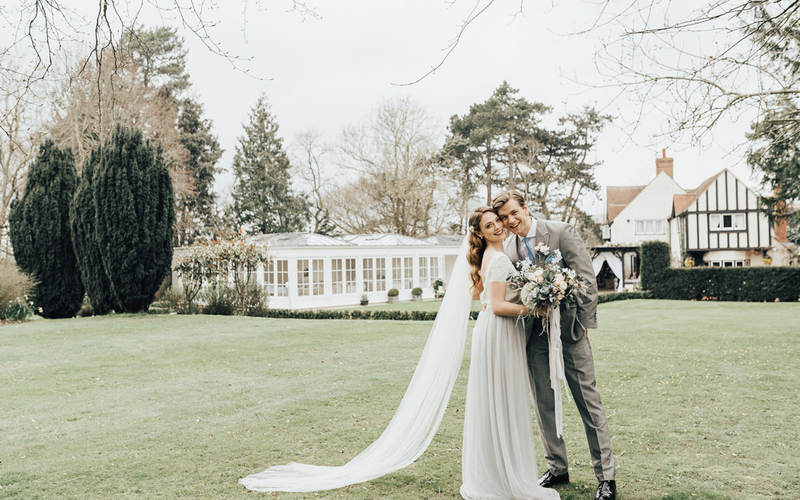 The orangery is also the perfect blank canvas for any wedding and it acted perfectly as the backdrop for this shoot. 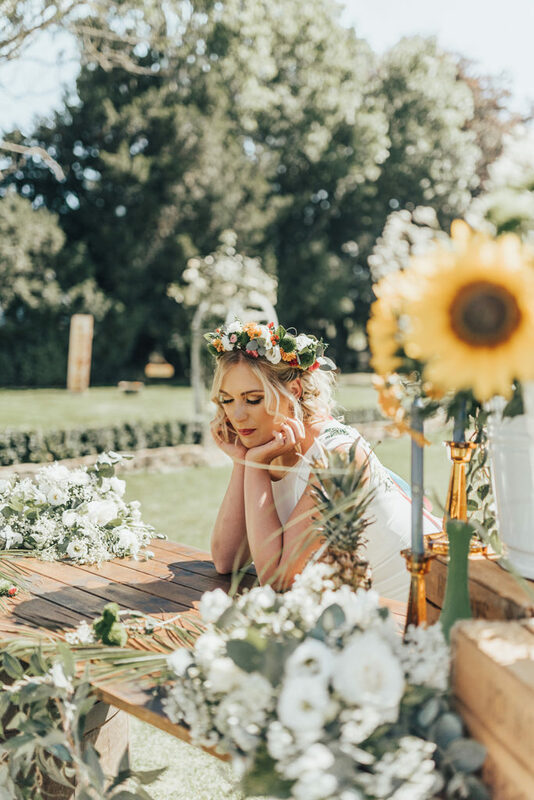 Sharon Owens and Lee Ann created two hair and makeup looks for this shoot, both as beautiful and relaxed as the other. 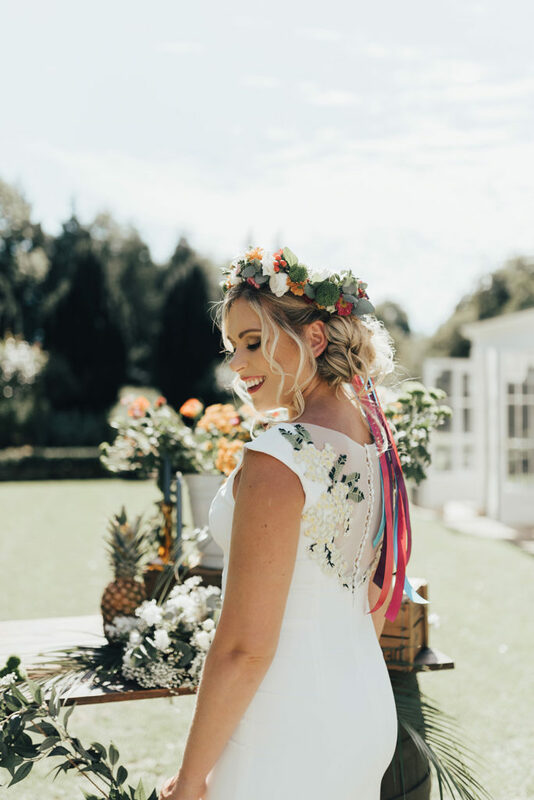 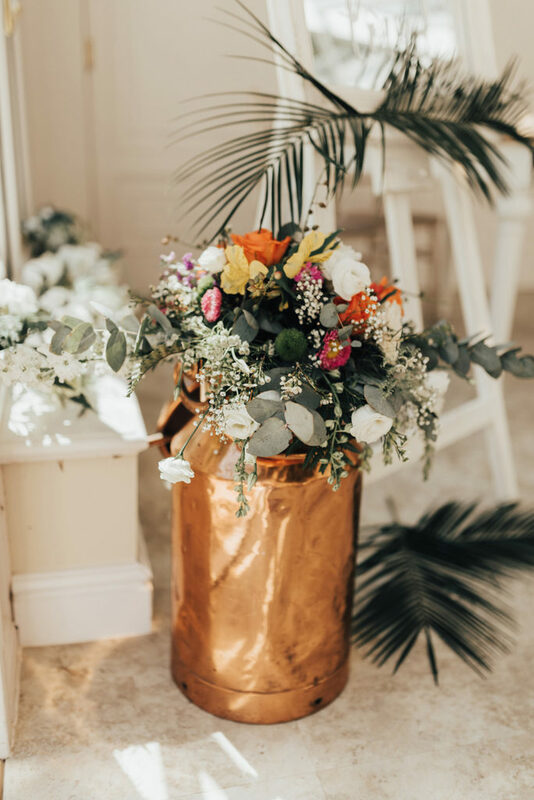 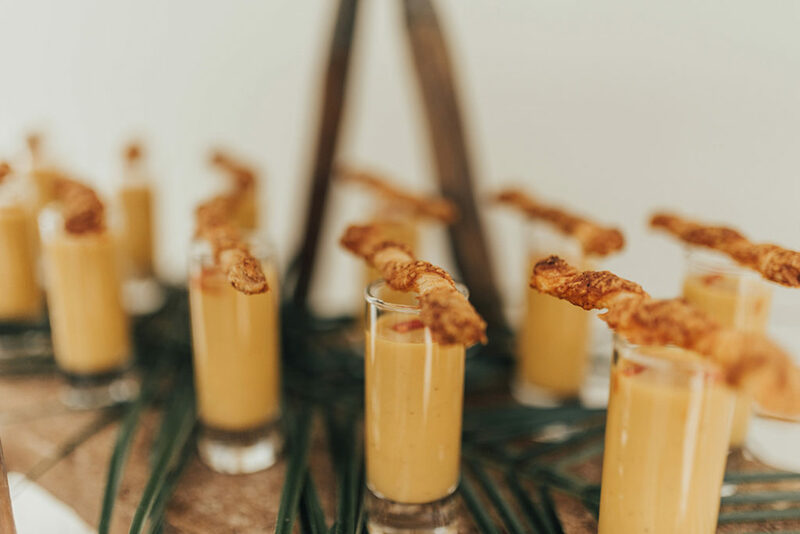 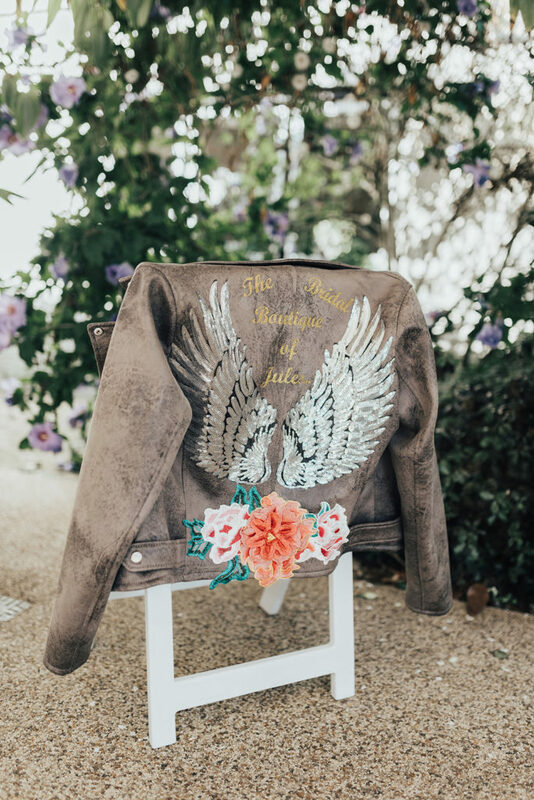 All the suppliers we worked with on this shoot totally understood and embraced ‘Boho Beautiful’, so essential when styling and creating such an event. 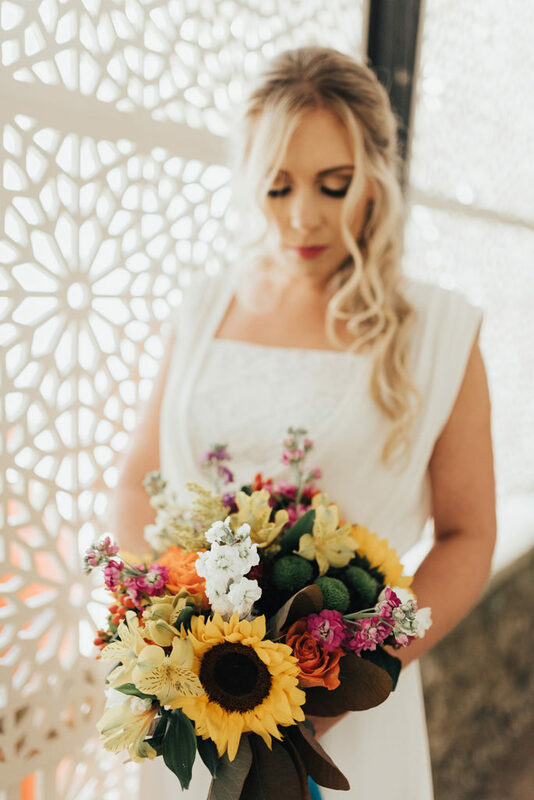 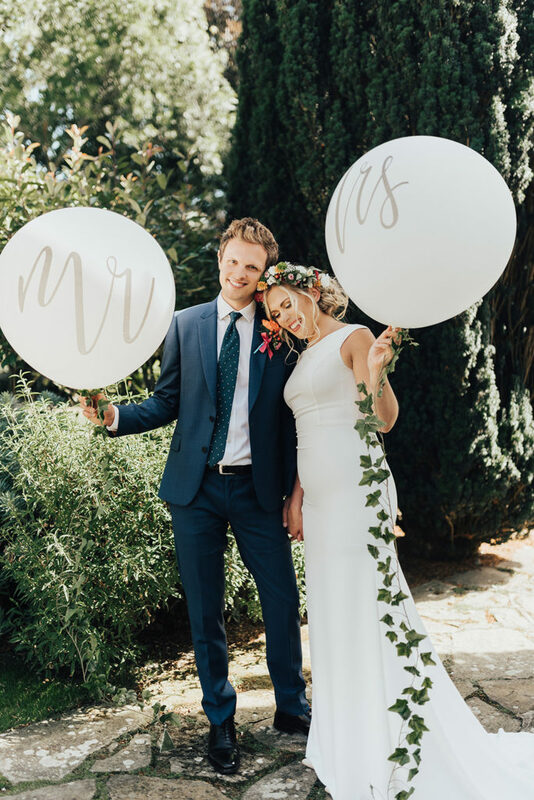 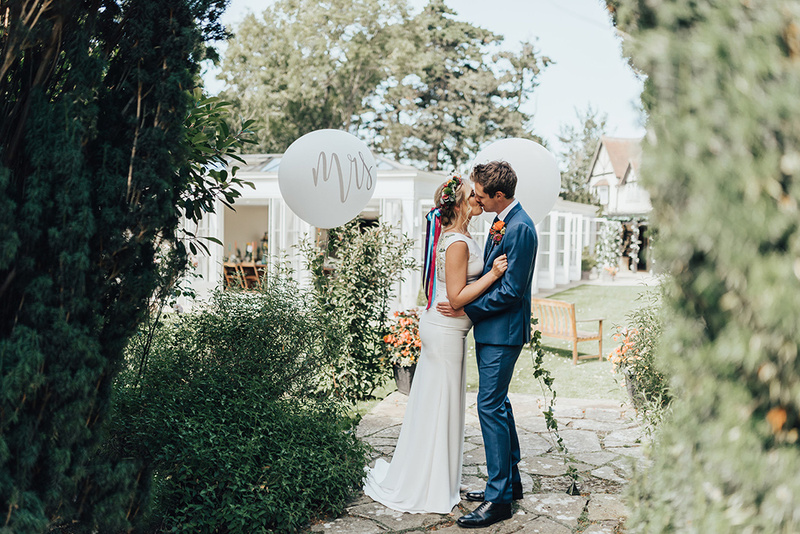 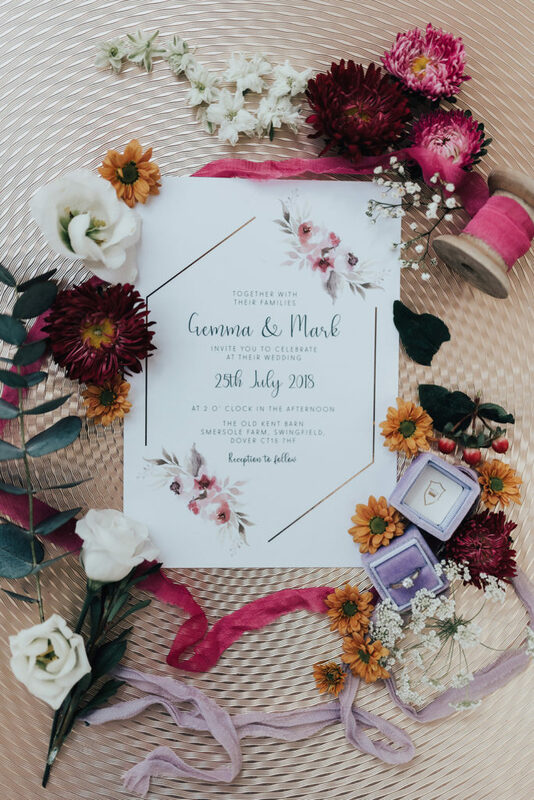 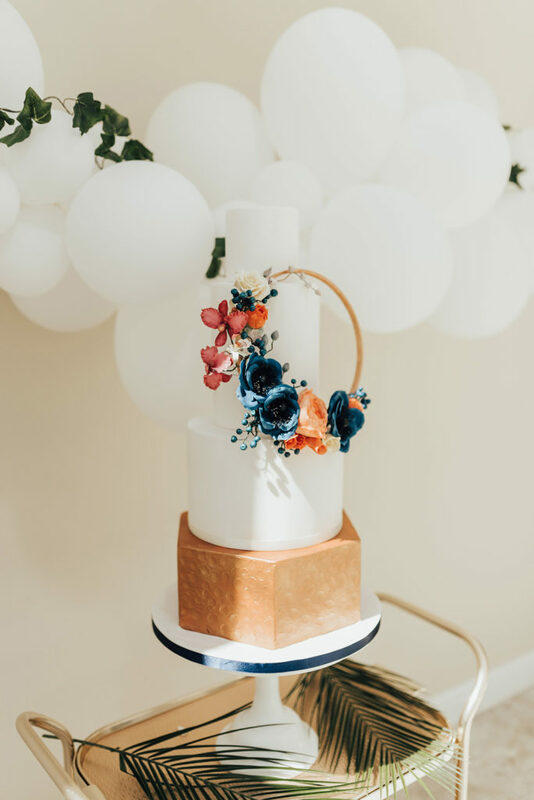 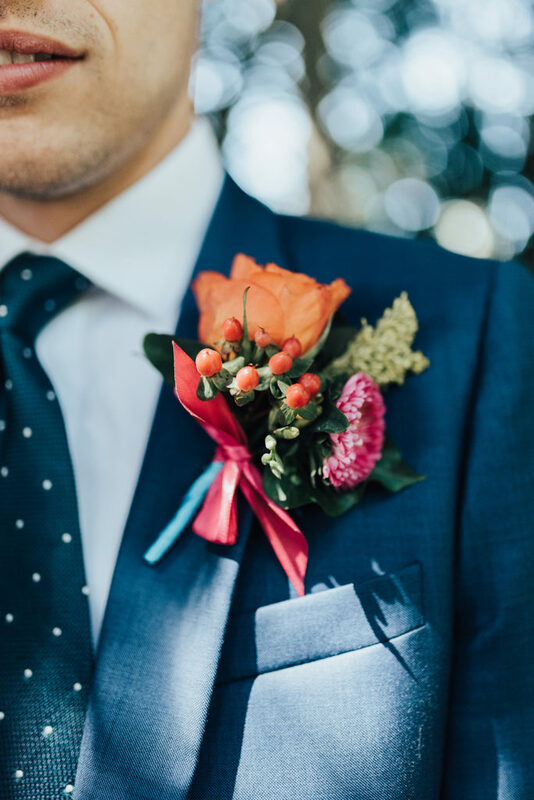 By doing this styled shoot I really hope that it shows that brides don’t need to be afraid of colour and that it can really help make an impact on your wedding day. 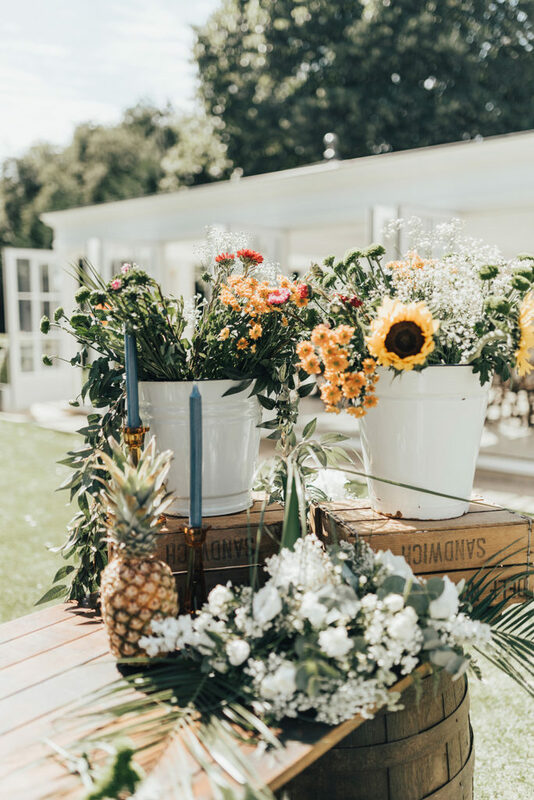 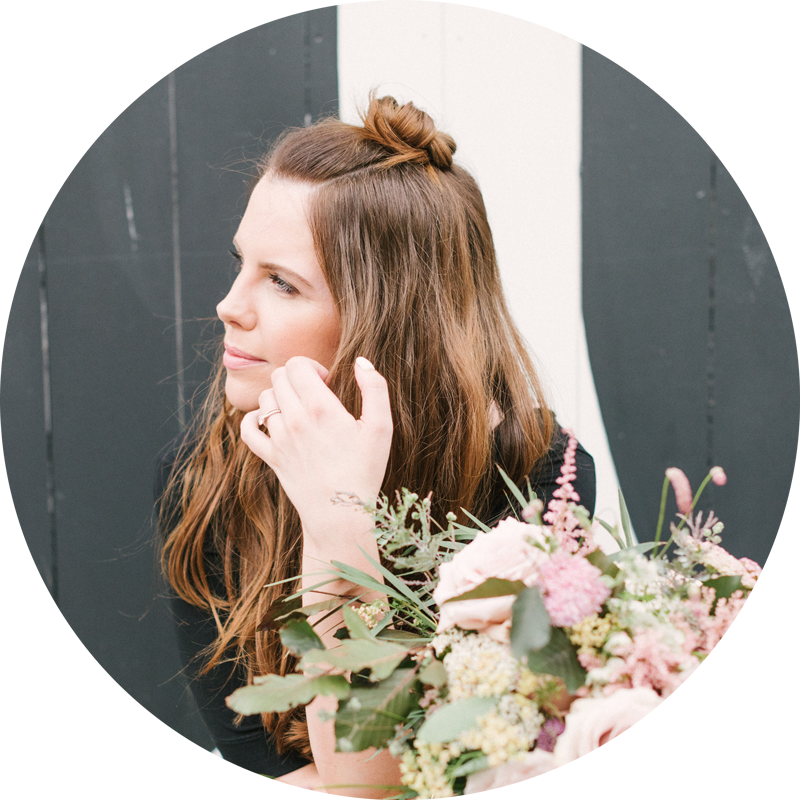 I also hope that it encourages brides to think of a theme that works well with your venue and to really be bold with their venue decoration decisions.